María Ángeles Alonso Zarza PDh is a Spanish language professor and has been working for the GW Madrid since 1991 when she started as a postgraduate intern. She teaches one of the language courses for GW students and also teaches regular courses at Universidad Autónoma de Madrid. She has extensive knowledge of the UAM. She graduated from UAM and obtained her Masters specializing in teaching Spanish as a Second Language. 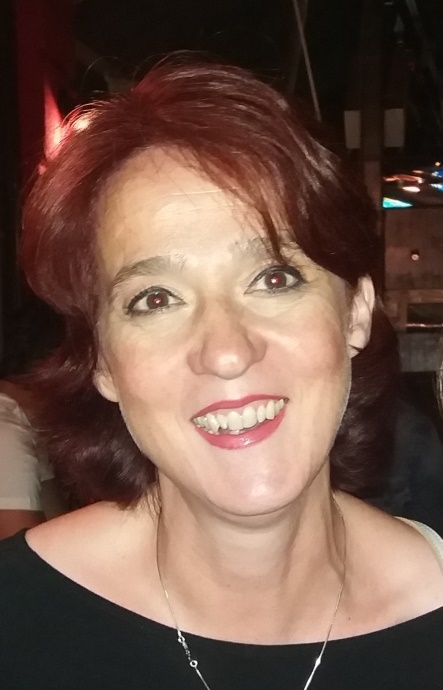 Her doctorate is in Spanish Language and General Linguistics.Mª Ángeles Alonso speaks Serbian and has translated several publishednovels and articles from those languages into Spanish. She has lived in Hungary and in the former Yugoslavia, where she taught Spanish at Belgrade and Szeged Universities. She is an avid reader and loves to cook -- especially pastries. "Carmela and Maria Ángeles are super helpful - they plan all the excursions and group activities. It's comforting to know that you have a GW resource center right on campus and a friendly face to talk to if need be. Carmela even invites you to her home for a delicious lunch!" "Carmela and Maria Ángeles have exceeded all of my expectations as directors. They are much more than directors; they have a unique and personal relationship with each student. They are always available and willing to help with any academic or personal matter. "